The Bulldogs came out inspired off the opening puck drop and hemmed the Express in their zone for several shifts, but all it took was one chance for the Express to find the board as Josh Smith did a good job to steal the puck on the forecheck back of the Dogs net before throwing it out to the top of the crease for Jackson Cressey, who one-timed it through Tyger Howat to make it 1-0 at the 2:18 mark. Just seconds after the goal, the Express would have a glorious chance to build the lead as they raced in on a 3 on 0 rush on a delayed penalty, but they couldn't connect as a cross-ice one timer hit the post and stayed out. The Express would control the play for the next several minutes but the Dogs held on to keep it a one goal spread. The Express would then get in penalty trouble, taking back to back penalties before then taking another one after the whistle that saw the Bulldogs go to a 5 on 3 power play for 56 seconds. While the Dogs couldn't connect on the 5 on 3, they did score just seconds after the first penalty elapsed as Darian Henry put a low shot on net that was stopped by Dushenko, but he couldn't find the rebound before Hunter Stewart jammed it home from the top of the crease. Mitch Makin also picked up an assist on the play at 12:12 of the first period. The Dogs would get their feet under them after that and have several solid chances to take the lead, the best of which coming late in the period off a Craig Martin one-timer from the slot where Dushenko made a great glove save as it stayed 1-1 after one with the shots 11-9 in favour of the Dogs. The second period was back and forth and fun to watch over the first couple of minutes. The Express would have a great chance at the end of a long shift where the Bulldogs contained them in their zone as Joey Santucci snuck out to centre where he was sent in alone on a breakaway after a great stretch pass. Tyger Howat would come up with a great glove save to keep it 1-1, but the Express would get it back shortly afterwards with their league leading 11th shorthanded goal as Ryan Rosenthal raced to a loose puck misplayed by a Bulldogs defender and put a wrist shot on goal that was stopped by Howat, but he couldn't find the rebound as Rosenthal drove the net and jammed the loose puck home. Assists went to Bo Pieper and John Saunders at 5:51 of the second. The Dogs would make good though and get it back on the power play less than a minute later as Craig Martin fought the puck over the line down the right wing before throwing a cross-ice pass onto the tape of a streaking Justin Georgeson who one-timed it home past the blocker of Dushenko to make it 2-2 at 6:43 of the second. The Bulldogs would take their first lead of the game in the final minute of play after winning several battles in their own end of the ice before Josh Atkins battled hard to find Hunter Stewart at the bottom of the right circle, where he went cross-crease onto the tape of Scott Clark to deflected it home to make it 3-2 at 19:09 of the second. The Bulldogs had a goal called back shortly afterwards as Quinton Wunder was robbed by a Dushenko glove save. Justin Georgeson would glove the puck down out of mid-air and drop it in the crease where it eventually ended up in the back of the net, but the Referee who was in position at the crease ruled no goal as it stayed 3-2 Dogs after two, with the Dogs out-shooting the Express 27-17. The Express would quickly tie it up to open the third period as the Bulldogs failed to get the puck out, and gave it away up the middle where it was picked off by Adam Rockwood, who fed the left point where John Saunders blew a one-time slapper off a Bulldog stick and in to make it 3-3, with Corey Mackin also drawing an assist at 1:29 of the third. The Express would take the lead back two and a half minutes later on the power play on an unlucky/lucky bounce as a point shot was deflected and ended up in the slot right on the tape of Joey Santucci who fired it home past the glove of Howat. Canon Pieper and Zach Hodder drew the assists 3:50 into the third to make it 4-3 Express. The score would stay that way until the Bulldogs connected to tie it up on a pretty set up on a 5 on 3 power play as Justin Georgeson one-timed a Mak Barden pass in the deep slot top corner past the blocker of Dushenko. Kurtis Gosselin also drew an assist on the play at 9:37 of the third period to make it 4-4. Both teams would have their chances the remainder of regulation, but Howat and Duskenko stood tall to force the game into overtime. The Express would get the winner inside of three minutes into OT when Justin Georgeson was knocked down in the defensive zone before playing the puck on his knees to Darian Henry at centre ice. Henry would try to turn back, and lost his edges and the puck, which was picked up by Ryan Rosenthal who drove wide and to the net where he was initially stopped by Howat. The puck would end up in the net, along with Howat, and the goal stood as the Express won it 5-4 in OT at 2:47, unassisted. I'd like to see the goalie have a chance to keep the puck out, and I don't think he did in this instance. Here's the video of the game winner - tough call for the Referee to make. You make the call, what's your opinion? Final shots favoured the Bulldogs 41-31, with Tyger Howat taking the loss while Pierce Dushenko picked up 3rd star honours with the win. The Dogs went 3 for 7 on the power play, with the Express going 1 for 4 while also adding one while shorthanded. The Dogs are now six points back of the Capitals for the final Island Division Playoff spot, they are next in action Friday night at home against Cowichan in another huge game. It's the third and final Regular Season meeting between the two clubs tonight as the Bulldogs (7-19-2-2, 5th Island) pay host the Coquitlam Express (13-12-0-2, 3rd Mainland), with the teams splitting the previous two meetings. The Express won the first tilt 9-4 on day two of the season at the BCHL Showcase in Chilliwack, while the Dogs answered back with a 6-4 win in Coquitlam on November 1st for their first road win of the season. The Dogs are coming off a tough loss last night where they were in a 0-0 tie after two periods only to see the Caps throw a six spot on the board in the third to win it in a rout. I didn't think the Bulldogs came out of the gate with the intensity and urgency required for the magnitude of the game and the stakes, and I thought the game featured way too many instances of players trying to do too much individually. In the end I hope the Dogs don't remember last night for the wrong reasons - not only did they lose to the Caps and fall seven back instead of clawing just three behind with two games in hand, but they also gave the Caps exactly what they needed - a slump busting win. It's probably best they get right back at it tonight to forget about it with a great effort against the Express. The Express have had a busy week, as they were in Surrey on Wednesday where they fell to the Eagles 7-5, before hosting the Eagles in a wild and crazy affair last night (a 9-6 Express win) before then getting on the boat this morning to get over to the Island. It's a two-man team in the booth tonight on Van Isle Ford Bulldogs Hockey on 93.3 The Peak FM with myself and Bruce MacDonald bringing the action to you, with Dan "the stats man" Tisserand having to miss tonight's game to catch his office Christmas party. As always we will take to the air with our pregame show at 6:45 with the play-by-play following the 7:00pm puck drop. I think our Island Radio Christmas party is next weekend, and once again I will be forced to miss it for about the 7th year in a row as I will be broadcasting a Bulldogs game! Just a small sacrifice for having this great job! Who wants a night away and dinner and drinks on the boss anyway? I bring it up mostly an excuse to highlight the committment of a guy like Dan, who is doing this as a passion for the most part, not a livelihood, travelling to Dogs games mostly on his own from Nanaimo. We'll miss ya Danno! Tonight's 1st Intermission guest is Bulldogs Forward Dylan Haugen. Tonight's 2nd Intermission guest is BCHL Commissioner John Grisdale, in conversation with Jeff Patterson from the BCHL This Week program on Team 1410am. Catch the show Saturday mornings on Team 1410 starting at 9:30. The Capitals came out with the early edge in energy and desperation, as the Dogs took a bit to find their legs and get in the game. A harbinger of things to come shortly afterwards saw a questionable penalty shot awarded to the Capitals, on what looked like great defence to me, as three Bulldogs converged on Dane Gibson and no one seemed to get anything more than a light touch of a stick on the player while taking the puck away. Thankfully it wasn't of consequence as Connor LaCouvee came up with a big pad save on Dane Gibson to keep it scoreless just 3:20 into the game. It's hard not to say anything at this point about the Officiating - I would rather not, but it's a part of the game. The game for the period lacked flow, and both teams appeared to take issue with the Offcials. Tempers flared late in the period with a dust up at the Bulldog bench - the Dogs came out of it with a power play, and a 10 minute misconduct to Kurt Gosselin. Less than a minute into the opportunity they would pick up a penalty and have it taken away to bring about four-aside hockey, which happened several times in the first period. The period ended in a scoreless tie, with the Dogs up in the shots 11-9. Here's the penalty shot call - you make the call! The second period saw the Bulldogs kill off a minute of a carry-over penalty from the end of the first, before then heading to the box on back-to-back occasions shortly afterwards. They did a good job to kill the penalties off though, allowing the Capitals just one shot in just over five minutes of power play time. The Dogs would get their turn on the power play late in the period - after Kurt Gosselin was hauled down on a breakaway chance. It was no where near as clean as the Bulldogs defence on a breakaway that resulted in a Capitals penalty shot early in the game, but this would end up as just a minor penalty, but that is just how I saw it. The Dogs again weren't able to generate much of an attack as the man advantage struggled to get going. The Caps would have several great chances to open the scoring late in the period but Connor LaCouvee robbed Colton Kehler on a cross-ice one-timer with his right pad, before then standing tall to stop Mason Malkowich on a wide-open look from in tight. The game remained scoreless after 40 minutes with the Caps leading in the shots 19-18. The Bulldogs began the third period on the power play, and again failed to generate much. It would come back to bite them shortly afterwards when the Capitals found the net on a centering pass by Daniel Wanner from behind the net to the top of the paint to Dane Gibson, who one-timed it through LaCouvee to make it 1-0 and send the Teddy Bears flying 3:33 into the third. Just 2:07 later the Capitals went ahead 2-0 as Mitch Ball walked over the Bulldogs blue line and beat Connor LaCouvee glove side on the rush from the top of the left circle with a snap shot long-side. Assists on the play went to Brayden Gelsinger and Colton Kehler at the 5:40 mark of the third period. Less than three minutes later the barrage continued as Mason Malkowich flipped the puck high in the air from the Capitals goal line to centre ice, where a Bulldog defender cut it off but failed to get it deep and turned it over at the Capitals line. Taki Pantziris would race into the 'Dogs zone on a partial breakaway before dishing over to Brayden Gelsinger who skated in alone and break LaCouvee with a backhand deke on the breakaway at 8:16 of the third. Two minutes later the Capitals built the lead to 4-0 on another in-alone chance as Mason Malkowich went to the backhand to put it past LaCouvee after nifty passing by Jesse Neher and Kyle Horsman at 10:12 of the third. Just two and a half minutes later the floodgates remained open when Jordan Topping scored on the rush from the top of the left circle, sneaking one through the seven-hole, glove side on LaCouvee to make it 5-0. Assists on the play went to Sam Curleigh and Daniel Wanner at 12:53 of the third period. One more to finish the scoring came on the rush on the power play as the Caps entered the Dogs zone and no one picked up Myles Powell who took a cross-ice pass and skated in alone on LaCouvee where he went to the backhand to tuck it home. Dane Gibson and Rylan Bechtel picked up the assists at 15:49 of the third for the 6-0 Final. Shots favoured the Capitals 32-20 with Robin Gusse picking up the shut out and 3rd star honours while Connor LaCouvee took the loss. The Dogs went 0 for 6 on the power play while the Capitals 1 for 7. The Dogs will try to bounce back tomorrow night at home when they host the Coquitlam Express. It goes without saying that this is a HUGE game when it comes to the Island Division standings as the Bulldogs (7-18-2-2, 5th Island) visit the Capitals (11-19-0-1, 4th Island) at the Big Stick at the Island Savings Centre. The Dogs haven't played since their 3-0 win over the Capitals at home on Saturday night - their first win over the Caps in five head-to-head games, and their first blanking of an opponent this season. The Capitals were in action Wednesday night at Home, where they lost their 9th in a row, 4-2 to the Clippers. We've got it all covered for you from the friendly confines of the landing in Duncan on Pacific Chevrolet Bulldogs Hockey on 93.3 The Peak FM starting with the pregame show at 6:45 with the play-by-play to follow just after 7:00pm. Dan Tisserand will compile Team and Player stats with Bruce MacDonald providing Colour and Analysis and myself the Play-by-Play and Player and Coach Interviews. Tonight's 2nd Intermission guest is Eddie Gregory, the Play-by-Play voice of the Coquitlam Express, who are in town tomorrow for the 3rd and final Regular Season meeting between the two teams. 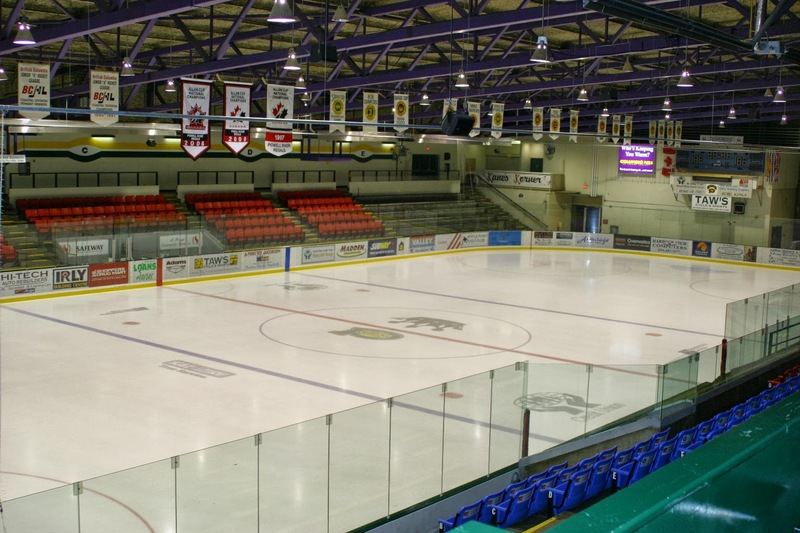 Port Alberni, BC – The Alberni Valley Bulldogs announce two changes to the defense core heading into the games this weekend. The Bulldogs have released 1995-born defenseman Brodie Clowes. He was initially acquired along with future considerations from the Whitecourt Wolverines (AJHL) for the CJHL playing rights to Luke Fenske. Clowes appeared in 12 games for the Bulldogs accumulating four assists but had troubles finding his stride and lacked the physicality that the team was looking for. Today, the Bulldogs filled that roster spot with 1995-born defenseman Quinton Wunder from Simi Valley, CA. Wunder comes from the California Titans U18 program coached by Luc Beausoleil. The 6’2”, 190lbs defenseman is expected to be a defensive-defenseman that takes the body and likes to play physically. 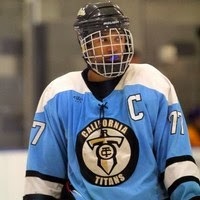 Wunder appeared in all 24 games so far this season for the California Titans U18 team adding 7 assists and 32 PIMs. He also leads all defensemen on the Titans in plus/minus with a +8 rating. “I am very excited to join what seems to be a great organization,” said newest Bulldog Quinton Wunder. “I would like to thank my parents and my coach Luc Beausoleil for helping me take the next step in my career. I can’t wait to play this weekend,” added Wunder. Wunder will wear #25 and will be in the line-up this weekend for the Bulldogs. The Bulldogs got off to one of their best starts of the season, generating a handful of Grade A scoring chances both on the rush and in the Offensive zone. Robin Gusse came up with several solid stops early, but the Dogs persisted and found the net on a nice play on the rush as Mak Barden banked it over the line for Tryg Strand, who dropped it for Mitch Makin who walked into the left circle and ripped one top corner, far side, over the glove to Gusse to make it 1-0 at the 8:39 mark. Gusse again came up big to rob Craig Martin on an in-alone chance to keep it a one-goal game but the Dogs would build the lead shortly afterwards when Tryg Strand battled the puck through centre and over the Caps line for Mak Barden. He would find Garrett Halls at the right point, where he put a wrist shot on goal through traffic that was tipped home by Justin Georgeson, making it 2-0 at the 10:57 mark of the first. The Dogs would control the better of the play, but the Caps still had several good scoring chances as Connor LaCouvee was good when he had to be, with the Dogs up in the shots 19-11 after one period. The Capitals came out inspired in the second period and while they had the Dogs running around early, they weren't able to generate many scoring chances. The Dogs would again have several chances turned away by Gusse, most notably when he dove back into the crease to rob Zach Funk on a an open net while the Dogs were shorthanded. The Dogs would kill off a penalty and then find the net in short order as Harlan Orr flipped the puck to Justin Georgeson at centre ice, where he sent Craig Martin over the line. He would fight through the defence and throw a shot on goal that appeared to deflect off a Capital defenders stick and fool Gusse, top corner, short-side at 9:21 of the second to make it 3-0. The Dogs went to a power play chance of their own right after the goal, and despite several outstanding scoring chances including a post, they couldn't build the lead. The Capitals would fight back and control the better part of the play late in the period, hemming the Dogs in their zone. LaCouvee was again solid to protect the lead, making an rediculous save on a rebound at the side of the net on Rylan Bechtel to keep it 3-0 Dogs after two periods, with the Dogs up in the shots 31-22. There would be no scoring in the third period, with the Dogs playing one of their most complete periods of the season, not giving up much defensively while still generating a handful of good chances. While they didn't find the net through the third period, the Dogs dictated the play and the Caps weren't able to get a sustained attack going. Final shots favoured the Dogs 50-31 with Connor LaCouvee picking up 1st star honours with the win and the shut out (the first for the Dogs as a team, and for LaCouvee this season) while Robin Gusse took the loss. The Dogs went 0 for 3 on the power play while the Capitals went 0 for 1. These teams meet again Friday night in Duncan, with the Caps first seeing action Wednesday night at home against Nanaimo. 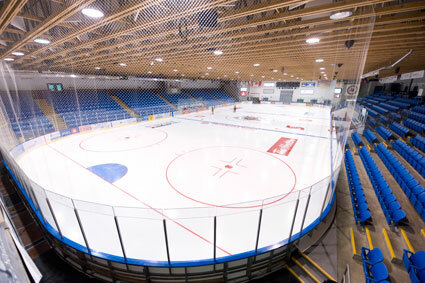 A three-in-three stretch concludes tonight as the Bulldogs (6-18-2-2, 5th Island) host the Cowichan Valley Capitals (11-17-0-1, 4th Island) in another installment of the "Battle of the Valleys" at the Dog Pound and an absolutely huge four point game. This is the first meeting between the teams since mid October, when the Caps ran their record against the Dogs to 4 and 0 with a 5-4 win at the Dog Pound.The Caps were also in action last night, where they dropped their seventh straight game, 3-2 to the Grizzlies. 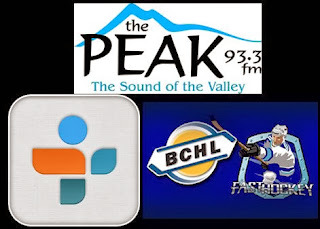 Tune in for what should be a fun one on Van Isle Ford Bulldogs Hockey on 93.3 The Peak FM - the pregame show starts at 6:45, with the puck dropping just after 7:00pm. I will have the play-by-play, Bruce MacDonald the Colour and Analysis, and Dan "the stats man" Tisserand the statistics. Tonight's 2nd Intermission interview is once again a segment from "BCHL This Week" on Team 1410, with host Jeff Patterson catching up this week with Victoria Grizzlies Coach Bill Bestwick. The Dogs have seen the Grizzlies just twice this season, and not since October 12th. You can catch BCHL This Week on Team 1410 Saturday Mornings at 9:30. An outstanding game from the opening puck drop, with great flow to the game and no stoppages of play for the first three minutes of the game. The Clippers would open the scoring, somewhat against the flow of play as Edwin Hookenson went D to D across the blue line to Scott Prier at the left point where he put a low slap shot on goal that was deflected home in the slot by Brendan Taylor, top corner, glove side on LaCouvee at the 4:52 mark. The Bulldogs wouldn't be deterred, and they continued to have the better of the play and the chances, eventually leading to the tying goal as Jakson Elynuik found Darien Henry at the point who set up Brett Stewart in the right circle where he snapped one low blocker, inside the far post on Liam McLeod to make it 1-1 at 13:05 of the first. The Dogs would have several outstanding chances to take the lead, most notably on a 2 on 1 where Mak Barden set up Justin Georgeson, but McLeod came over to make a fantastic save to keep it 1-1 after one. The Dogs would take their first lead of the game just over two minutes into the second as the Clippers won a draw in their own end but didn't get the puck as Hunter Stewart retrieved it and put a centering pass onto the tape of a wide-open Zak Bowles in the slot who ripped one top corner under the bar past McLeod to make it 2-1 Dogs at 2:22. The Clippers would go to the power play shortly afterwards where they tied the game as Spencer Hewson took a cross ice pass from Sheldon Rempal and went top corner, short-side on LaCouvee. Korey Morgan also picked up an assist on the play at 4:51 of the second to make it 2-2. The Clippers would control the play for a stretch and have the better of the chances, the most notable of which might have been a Bo Brauer one-timer from the hashmarks, but LaCouvee came up with a huge shoulder save. The Dogs would take the lead back against the flow of play when Ryan Buse took a cross-ice pass at the left point from Josh Adkins before throwing a wrist shot through traffic that beat McLeod low, long side. Rob Click also picked up an assist on the play as it was 3-2 Dogs at the 12:09 mark of the second. Less than a minute later the Clippers would tie it right back up when Devin Brosseau deflected home a Brendan Taylor pass from the slot through LaCouvee, with Chris Newton also picking up a helper at 12:46 to make it 3-3. It would be the Dogs turn this time to answer in a hurry, when the puck came back to the right point where Garrett Halls threw a wrist shot on net that again beat McLeod low, long side for the first career goal from Halls, from Scottie Clark and Hunter Stewart at 13:23 of the second to make it 4-3. The Dogs would take a two goal lead into the room after two periods when they found the net on the power play, snapping a five-game power play goal drought in the process, after they hemmed the Clippers in their zone for 1:41 in duration before finally finding the net when Scott Clark put a wrist shot from the top of the right circle through the seven hole of McLeod to make it 5-4 Dogs with just 9 seconds to go in the period, with assists to Tryg Strand and Kurt Gosselin. The third period saw the Clippers make it a one-goal game with just over ten minutes to play when the Dogs defence both missed the puck at the Clipper blue line resulting in breakaway for Anthony Sabitsky that he converted on as he squeaked it through the legs of LaCouvee to make it 5-4 with 9:22 gone in the third, and assists on the play going to Scott Prier and Korey Morgan. The Dogs would make the lead stand until the late stages of the third when Tryg Strand drew a penalty with hard work in the Clippers zone. The Dogs would connect on the advantage as Harlan Orr put a perfect shot on net from the top of the left circle that was deflected past Jayson Argue by Scott Clark for his second of the game to make it 6-4. Darien Henry also picked up an assist on the play at 15:47 of the third, as the Dogs made the lead stand and salted the rest of the time away. Shots were even at 40 aside with Connor LaCouvee picking up the win while Liam McLeod took the loss giving up 5 goals in 40 minutes. The Dogs went 2 for 3 on the power play while the Clippers went 1 for 4. 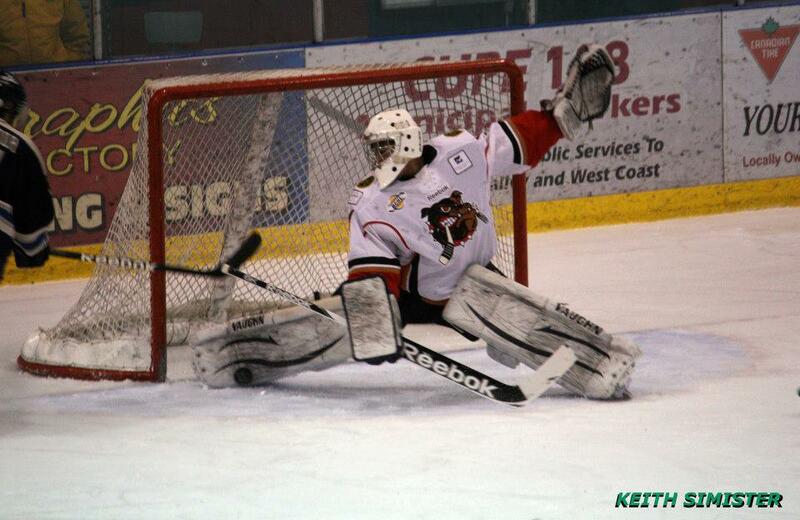 The Dogs are in action tomorrow night when they host the Cowichan Valley Capitals in a huge four point game. It's the fifth meeting this season already between these two rivals as the Bulldogs (5-18-2-2, 5th Island) head over the Hump to Nanaimo to face the Clippers ( 13-12-0-1, 3rd Island) at the Frank Crane Arena. These teams last met in Nanaimo on November 8th, a 2-1 Nanaimo win. The Bulldogs lost their 5th in a row last night, 3-0 to the Kings, while the Clippers lost their second in a row, also to the Kings, 3-2 at home on Wednesday night. Pacific Chevrolet Bulldogs Hockey on 93.3 The Peak FM takes to the airwaves/internetwaves with the pregame show at 6:45 and the play-by-play to follow at 7:00pm with Bruce, Dan and myself bringing all the action and stats to you. Tonight's 1st Intermission guest is Bulldogs Forward Hunter Stewart. One of my favorite Jay highlights...is OFF the ice, as he took my phone on the bus after Game 5 in Nanaimo last year. Sorry the video is sideways, and dark, but it captures the MOMENT, and that's what matters right? The Kings controlled the play early from the opening puck drop, as the Dogs struggled to find their legs. The Kings put a good amount of pucks on net and built up a 9-1 advantage in shots that led to a 1-0 lead as Jarid Lukosevicius deflected a Jordan Burns point shot past Tyger Howat. Matt Scarth also picked up an assist on the play at 10:43 of the first period. The Bulldogs would get their game going as the period wore on, having several good chances around the net, including on two deflections on a late power play, but they couldn't beat Jeff Smith as the Kings took the 1-0 lead into the room after one, with a 9-8 lead in shots. The Bulldogs came out with a jump in their step to start the second and carried the better of the play and had several good chances, out-shooting the Kings 7-0 to open the frame. The Kings needed just one shot to build their lead against the flow of play though, as Jarid Lukosevicius put a cross-ice pass through two Bulldog defenders and onto the tape of Kurt Keats who one-timed it into the wide open net. Matt Scarth again picked up the second assist at 7:29 of the second. The Dogs responded well after the goal, but as the period wore on the Kings controlled the bulk of the play and the Dogs were unable to get much of a sustained attack going with the Kings carrying the 2-0 lead to the room after 40 minutes. The Kings would play a very tidy third period protecting their lead, looking very much like the League's best team. The Dogs would have several good scoring chances, but certainly not enough, as the Kings made the lead stand until Lucas Grayson found a loose puck at centre and deked out a Bulldog defender to have a breakaway on the empty net to seal the deal. Assists on the play went to Kurt Keats and Stephen Hiff at the 18:38 mark of the third period for the 3-0 Final. Shots favoured the Kings 29-26 with Jeff Smith picking up second star honours with the win and the shutout, his second straight and third in three starts against the Dogs this season, while Tyger Howat picked up 3rd star honours with the loss. The Dogs went 0 for 4 on the power play while the Kings went 0 for 3. 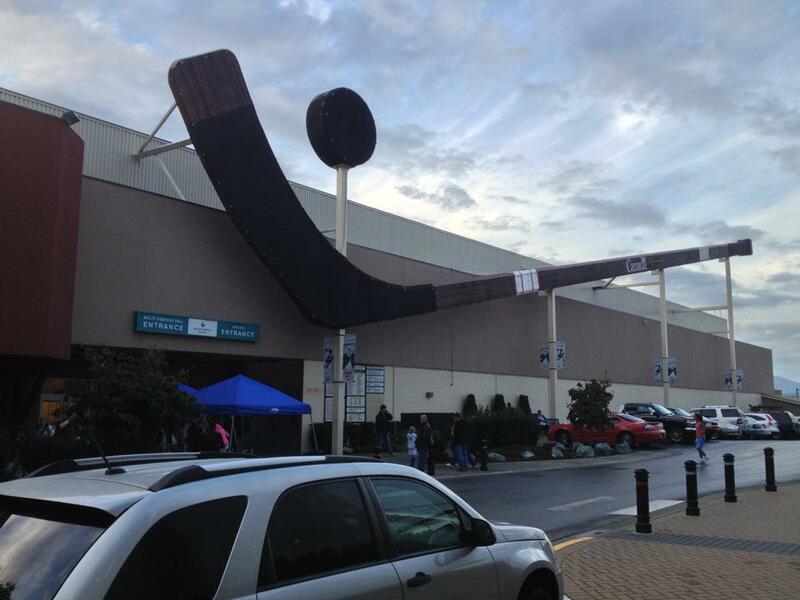 The Dogs are in Nanaimo tomorrow night, and back home against the Capitals on Saturday. 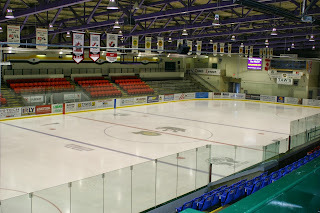 The Bulldogs (5-17-2-2, 5th Island) return to Home Ice tonight for their third straight game against the Powell River Kings (18-4-0-1, 1st Island, 1st Overall) and the first this season at the Dog Pound, trying to snap a four game losing streak. The Kings swept the two games last weekend in Powell River by scores of 3-2 in OT and 5-0 on Friday and Saturday respectively. It's the second in a row on the road for the Kings after 10 in a row on Home Ice, as they were in Nanaimo last night where they topped the Clippers 3-2 for their fourth win in a row. It's "Jersey Night" at the Multiplex tonight, as fans are encouraged to wear their favorite jersey from any sport, wear one and you will be entered to win prizes. 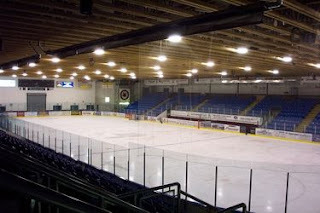 If you can't make it to the game, we'll have it all covered for you on Van Isle Ford Bulldogs Hockey on 93.3 The Peak FM with yours truly proving the Play-by-Play and Bruce MacDonald bringing the Colour and Analysis and Dan Tisserand compiling Team and Player statistics. Tonight's 2nd Intermission guest is another Bulldog alum in Johnny Rogic, now a senior at RPI. Grey Cup Golf Classic on Sunday , Jersey night Thursday, Western night Saturday! 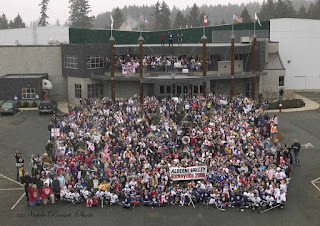 They Grey Cup golf tourney goes this Sunday at the Alberni Golf Club...always a great time! This Sunday November 24th is the annual Grey Cup Tournament and party. Please register in the Pro. Shop with your 4, 5, or 6 person teams or as a single. The teams can consist of all Men, all Ladies or a mixed team. There will be very few rules, just a fun day. Both golfers and non golfers are welcome to join in the activities. If you prefer not to golf, come out for lunch and watch the game on one of two big screen TV’s. There will be 9 holes of golf with many on course obstacles to overcome. It all begins with a shotgun start at 12 noon. After golf enjoy one of Alberni Golf Course’s world famous lunches, served by the greatest staff to be found anywhere. Kick off is 3:15, with the Saskatchewan Roughriders Hosting the Hamilton Tigercats in the 101st Grey Cup game held in Regina. There will be 3 or 4 meat draws, at ½ time courtesy of Rick Paul of Double R Meats. The price for this fun filled day is $30 for members and $40 for guests. If you come out just for lunch and the game the price is $ 15. This entry fee includes Golf, Lunch, and lots of prizes. Call 250-723-5422 to register. See you on the 24th. A couple of fun nights coming up at the Dogs home games this week! The second game of the double header between the Dogs and Kings was very different compared to Game 1, which saw no whistles in the first four minutes of play. Game 2 saw the Dogs penalized in the first 30 seconds of the game, and a pretty flat start for the first five minutes, with the Dogs doing a good job on the early penalty kill, not allowing the Kings a shot. The pace would pick up quickly as the period went on, with the Dogs have several good chances, notably on partial breakaways for Mitch Makin and Mak Barden, however they weren't able to get a shot away. The Kings would open the scoring with seven minutes to go in the period on a bit of a funny one as Matt Scarth tried a centering pass from behind the goal line that appeared to hit either Connor LaCouvee or a Bulldog defender's stick before ending up over the goal line. Kurt Keats and Jarid Lukosevicius picked up the assists for a 1-0 Kings lead 13:00 in and after one period, with the shots in favour of the Kings 12-10. The Kings would quickly build the lead early in the second when the Dogs attacked on the rush, but missed on a drop pass back to a defenceman joining the rush. The result was a 2 on 2 the other way with a Forward playing defence, and the Kings worked it to perfection as Kurt Keats went to the net where Matt Scarth found him with a pass for a in-alone chance where he deked one past LaCouvee to make it 2-0 at the 1:26 mark of the period. The Dogs would go to the power play just 30 seconds later, but as has been the theme lately, it let the team down and failed to generate much in the way of chances of momentum. To rub some salt in the wound, the Kings would score on the rush just seconds after killing it off as Jarryd Leung went to the net and re-directed home a cross-ice pass before LaCouvee could get over. Assists on the play went to Kurt Keats and Jarid Lukosevicius at 4:11 of the second. Despite the disheartening score, the Dogs continued to battle hard, but they couldn't chip away at the lead before the Kings found the net again to make it 4-0 when the Dogs got caught pinching on an attacking-zone faceoff and couldn't get back as Drew Dorantes scored on a breakway feed from JJ Coleshaw to make it 4-0 at the 16:53 mark of the second. The Kings would lead the shots after 40 minutes 24-21. The Kings would do a good job of controlling the play in the third period, as the Dogs failed to get much of an attack going, despite the Coaching Staff shuffling their lines to try and get something going. The only goal of the period would come late in the frame as Drew Dorantes drove wide down the right wing and around the Dogs defence and in alone on Tyger Howat (who entered the game to start the third) where he lost his footing but somehow found a way to get it through Howat. Assists on the play went to Brian Rideout and Ryan Scarfo to make it 5-0 with 4:22 to play in the third period. Tempers would flare late in the game, especially in the final 30 seconds when Ryan Scarfo took a healthy run at Justin Georgeson and hit him into the side boards. A needless check given the time remaining and the score, but a check I thought was no where near as bad as Lucas Greyson's the night before on Rob Click - however, THIS hit would be called as a hit from behind resulting in a game misconduct. The Dogs would go for broke trying to break the shut out bid pulling their goaltender to make it a 6 on 3 power play, but they couldn't find the net as time expired. Final shots favoured the Kings 33-26 with Jeff Smith earning 2nd star honours with the win, while Connor LaCouvee took the loss playing 40 minutes and giving up 4 goals on 24 shots, including a couple of breakaways - don't fault the goalie. The Dogs went 0 for 5 on the power play - three of those opportunities coming in the final six minutes of the game - while the Kings went 0 for 4. The Dogs are next in action Thursday when they see the Kings again Thursday night at the Dog Pound. It's the back-half of the double header between these two teams tonight as the Bulldogs (5-16-2-2, 5th Island) again visit the Kings (16-4-0-1, 1st Island, 1st Overall) for a 5pm puck drop at the Hap Parker Arena, after the Kings topped the Dogs 3-2 last night. Catch the action on Pacific Chevrolet Bulldogs Hockey on 93.3 The Peak FM with myself and Bruce MacDonald with the pregame show getting underway at 4:45 with the play-by-play to follow at 5pm. 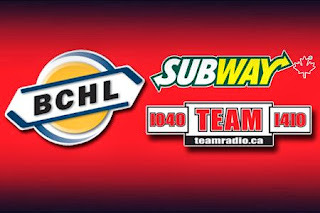 Tonight's 2nd Intermission feature is a segment from BCHL This Week on Team 1410 with host Jeff Patterson speaking with Sean Maguire, a former Powell River King. It's a pretty neat story that I'm sure people in the Valley can relate to, as Maguire is a hometown Powell River kid who grew up watching the Kings (even being a billet home) before going on to play for the team before ending up getting a scholarship to Boston College. The Dogs and Kings hadn't seen each other since early September, but they looked like old friends immediately with a fantastic start to the game, as it was end-to-end with no whistles over the first four minutes. The Dogs wouldn't be able to keep the Teddy Bears in the stands for long however, as the Kings opened the scoring just over five minutes in when Jarryd Leung scored on a rebound in the paint off a Jarid Lukosevicius wrap around attempt. The only assist would go to Luke Nogard, at 5:22 of the first. Less than a minute later, a nasty hit from behind was thrown on Rob Click by Lucas Grayson. A hit that according to the suspension handed out to Craig Martin should be probably worth about 4 or 5 games. From Referee Steve Brown, it was worth only two minutes. The call on the ice made by the Referee was boarding. Later the penalty was apparently changed somehow, as the boxscore stated a Blow to the Head. As in blowing the defenders head into the boards from behind maybe? Not how the rule is meant to be enforced as far as I'm aware. Here's the video, make your own opinion now that you have read mine. While the Dogs wouldn't connect on the power play, they did tie the game shortly afterwards when Mak Barden took a return pass from Brett Stewart at centre and skated over the Kings line right up the middle where he ripped one from the deep slot top corner, glove side on Imoo to make it 1-1 at 13:57 of the first for a 1-1 tie after one, with the Kings leading the shots 13-10. The Kings would control the bulk of the play in the second, with Connor LaCouvee coming up with several timely saves to keep it tied at 1-1. The Kings would persist though, and take the lead back late in the period on a fortunate bounce on the power play as Mitch Makin laid down to successfully block a Brian Rideout point shot. The puck would carom off Makin, and right back onto the tape of Rideout who blew one on net that was tipped home by Luke Nogard at the top of the crease to make it 2-1 Kings with 4:56 left in the period, with Jarryd Leung picking up the second assist. The Kings would carry the 2-1 lead into the third period, with a 34-18 advantage in shots. The score remained that way until the late stages of the third period when the Dogs fought back to tie the game at 2-2 when Tryg Strand put a cross-corner dump in into the Kings zone that was retrieved by Harlan Orr. Strand would go to the net and throw it out front for Strand who roofed a one-timer over Imoo at 14:12. The Dogs would have several good chances in the dying minutes to get the go-ahead goal, but Imoo preserved the tie. In overtime the Kings would win it just over two minutes in on the rush when Kurt Keats wheeled back of the Dogs net before passing it out front the same way he went in for Matt Scarth, who tipped it past LaCouvee for the game winner and the 3-2 final at 2:29 of OT. Final shots favoured the Kings 48-26 with Connor LaCouvee again taking 2nd star honours with the loss, for the third game in a row, while Jonah Imoo picked up the win. The Dogs went 0 for 4 on the power play while the Kings went 1 for 4. A tough loss, but in the end a big point for the Dogs against the top team in the league. The point draws the Dogs back within 9 points of the Cowichan Valley Capitals for the final Playoff spot. The teams go at it again tomorrow night, note the start time of 5pm. Port Alberni – Heading into two games in Powell River this weekend versus the Kings, the Alberni Valley Bulldogs are very excited to have both Kurt Gosselin and Craig Martin back in the line up. Gosselin is returning from the 30-day injury reserve list and Craig Martin is back after serving an 8 game suspension which was strongly contested by the hockey club. Both Gosselin and Martin are welcomed additions. 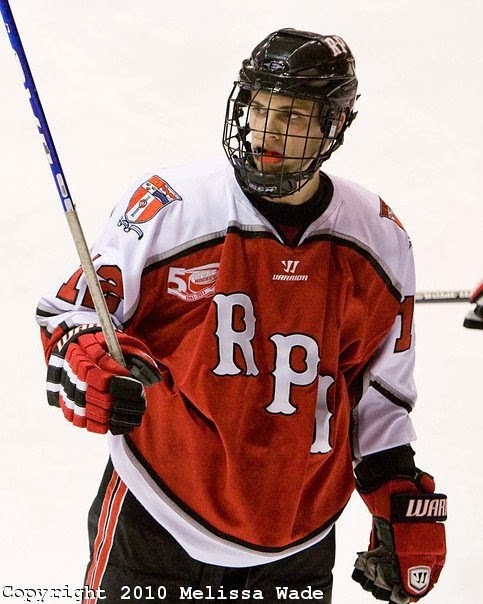 To make room on the roster for Gosselin’s return, the ‘Dogs trade 1994-born defenseman Luca Doctor to the St. Michaels Buzzers of the OJHL for future considerations. Doctor was acquired back in early September but struggled to find his game. In a second roster move on Thursday, the Bulldogs also returned 1995-born defenseman Riley Ostoforoff to the Castlegar Rebels in the KIJHL. Ostoforoff will remain on the roster as an affiliate player. For further comment, please contact head coach and general manager Kevin Willison at 250-735-0487 or via email at kevin@albernivalleybulldogs.ca.